Sea and Sky by Bosa. 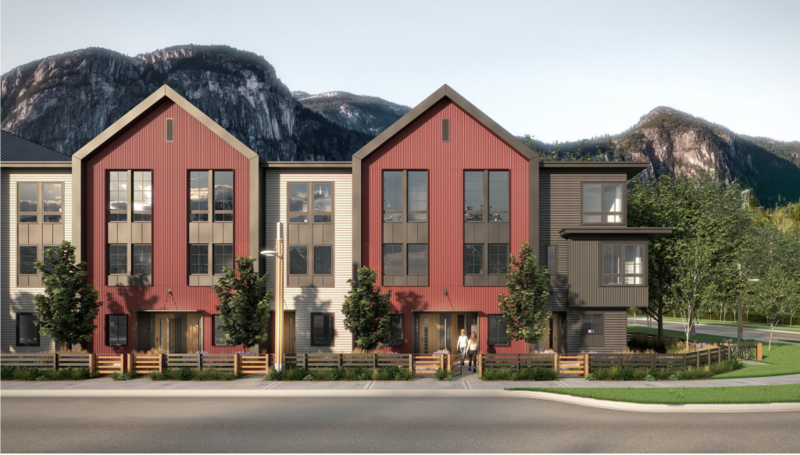 2-4 Bedroom Townhomes in Squamish, B.C. Nice move-up opportunity! If you have positive equity in your home due to the rise in home values over the past 3-5 years, there may be an opportunity for you to move up the market into a larger home. This may be possible without a significant increase in your monthly mortgage payments. With the newfound cash in your principal residence, the move from a condo into a three bedroom townhome or an entry level detached home may be closer to reality than you expected. It’s also likely you’re making more money now than when you bought your first home, making the move up the market more comfortable. As the saying goes, don’t wait to buy real estate, but buy real estate and wait! With an increase in equity in your home, you may have the ability to borrow money against your principal residence to look at other opportunities in the market. Have you ever thought about owning a one or two bedroom investment property? This could be your chance, or your long-term retirement plan! Opportunity #3 – Sell your home. Become mortgagee free! Vancouver and the surrounding communities have some of the highest home values in the world! By owning a home here over the past 3-5 years you have hit a bit of a lottery ticket and your value is likely up. What is the job market like for your profession in other areas of the province or country? Maybe areas where homes values are half of what they are in Vancouver? Sounds a bit crazy, but a big move out of Vancouver to an area where you could eliminate or half your mortgage may be a good long-term financial decision. Have you ever looked at how much interest you pay yearly on your conventional 25 year mortgage? I bet it’s a lot more than you thought! But I thought it was a Sellers market and everything sells in 5 minutes? Wrong! Market conditions change and right now we are in a Buyers market. With the slow down in sales across the Lower Mainland over the past six months, Buyers are able to take more time to look at a property and think deeper about an opportunity – a Seller will likely accept subject conditions in an offer! One of the largest segments of the market at the moment is the move up Buyer. Move up Buyers are taking advantage of favourable Buyer conditions to make the move they have been thinking about. Chris has helped many clients move up the market. The increase in equity gained over the past few years for many homeowners is an opportunity to make moves in a variety of ways. It is important that you speak with a mortgage broker and financial advisor before making any major moves. Wondering what your home is worth in today’s market and what your next step could be? Contact Chris for a complimentary market evaluation of your property. He can be reached at 778-881-0673 or at chris@chrisbrownrealestate.ca.